Music is about feel, emotion and spirit. It touches us gently or slaps us hard when we least expect it. From ethereal glimpses of otherworldly realms to hard-core power storms, the music of Wernher Pramschufer has a uniquely haunting sound. A lifetime of study and practice has amplified his gift of music and orchestration. From full-blown uplifting symphonic scores, to dark and poignant sound design his music transcends any one genre. Highly skilled in real and virtual orchestration using state of the art libraries and sophisticated software, he runs a studio capable of delivering huge soundscapes, evocative themes and uplifting melodies. Wernher Pramschufer’s music has been performed by orchestras, in music theatre, radio and television. 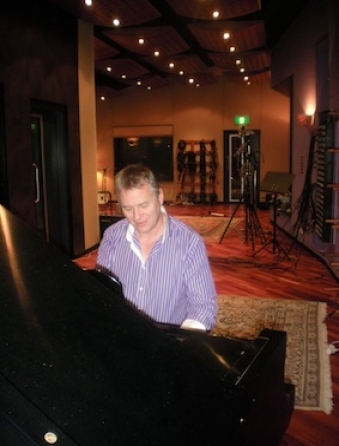 As an acclaimed music producer his productions have been created in leading studios worldwide.